Wrexham Tyres have been notified that one of our subsidiary companies names, Wrexham Engine Centre Limited is being used by a fraudulent company trying to sell fictitious engines. We only REPAIR engines, we do not SELL engines in any shape of form. 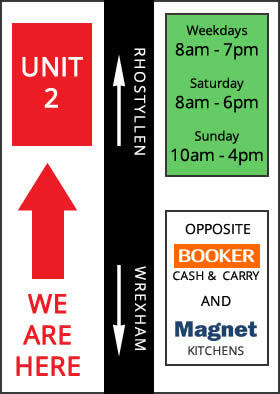 We are NOT 'Wrexham Engine UK Centre' and we believe that this is a fraudulent company. Please do not use that company, or if you have done, speak to your bank if you have paid them any money as they are a fraudulent company. We have built our reputation on giving our customers a complete service from the supply and fitting of exhausts and tyres, MOT testing, servicing and repairs. Professional and friendly service at all times, Wrexham Tyres gives what we believe to be the best value for money in the area across our whole range of products and services. 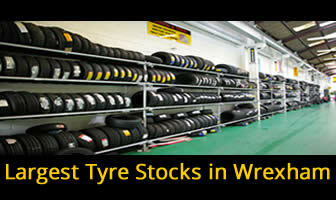 We carry vast stocks of tyres for cars, commercial vehicles and motorcycles. In addition to that, we can obtain tyres we don't hold in stock within 24 hours. 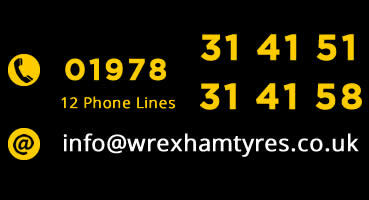 Just give us a call with your tyre size and any particular requirements and we'll get you a price and delivery time. 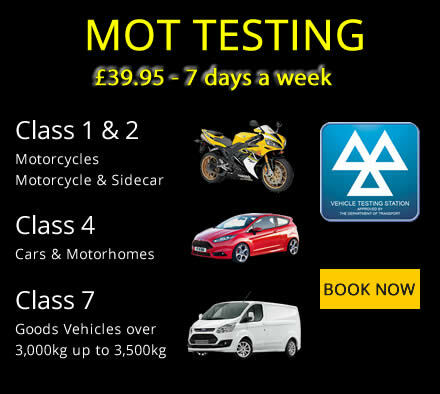 We can carry out MOT tests while you wait from 8.00am to 7.00pm Monday to Friday, 8.00am to 6.00pm on Saturdays and 10.00am to 4.00pm on Sundays. Even better, we only charge £29.95, with a free re-test within 7 days if necessary. Whether you need a basic service or extensive mechanical or electrical repairs, we believe we can provide you with a level of service that you will find refreshing. With 10 fitting bays available, you can have your exhaust fitted while you wait.